Mix cream cheese powder with water to create cream cheese - for cheesecakes or chip, pretzel, and veggie dips. Cream cheese powder combined with Worchester or soy sauce create beef stroganoffs and creamy noodles. 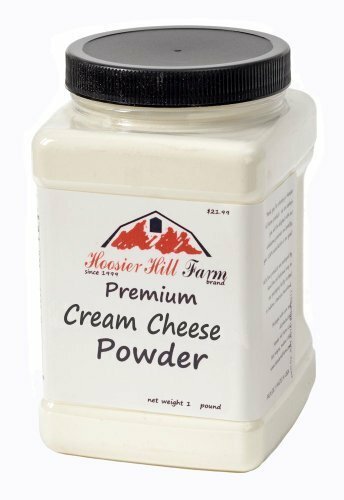 Cream cheese powder is the richness in frostings, pumpkin desserts, blueberry dips or strawberry dips. Now you can make your favorite cream cheese dishes - when travelling, hiking, boating, or camping. Resealable Plastic Jar container for easy storage. Now you can make your favorite cream cheese dishes - when travelling, hiking, boating, or camping.